Do you know someone that is a graduate of the Geopets Academy? If so, they need this tag! The Geopets Academy was introduced to the geocaching community on April 1, 2017, and has inspired pets to step up their game ever since. 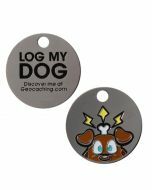 This tag can make your furry friend trackable so you can follow their travels, or can just be sent out to woof from geocache to geocache! 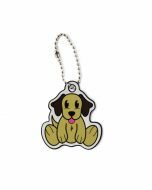 The Geopets Academy Log My Dog tag is designed to withstand the extra wear and tear from life on a collar. Each travel tag comes with a simple split ring attachment. This travel tag is trackable at Geocaching.com with a unique icon. 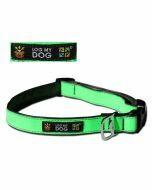 Dimensions: Approximately 1.125 inches in diameter.